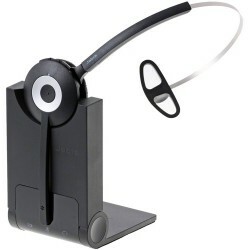 The Jabra BIZ 2300 Mono-corded headset is designed to be used with a desk phone, but can also be used with a smartphone, or computer (just remember that each requires the correct connector cable). 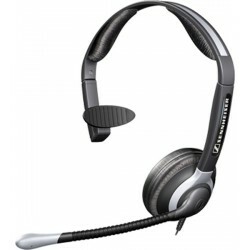 The headset comes with the headband and foam ear cushion and can be worn on either ear, simply by rotating the microphone arm (complete with noise-cancelling microphone). 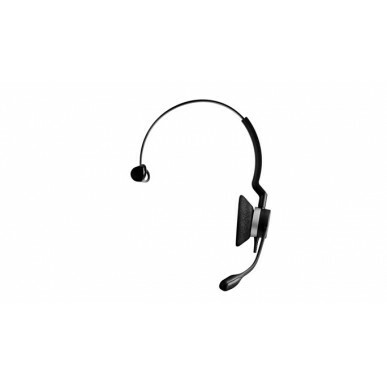 All corded headsets come with a brand-specific QD (quick disconnect) connection and require a same-brand adapter cable to make them compatible with your phone or other device. These range in price from $15 upwards. When you add the headset to your shopping cart you will get a prompt asking you which model phone you have. Simply select your phone from the list and you can be confident you'll get the right cable. Many of these cables look the same but are different inside, so if your particular model phone isn't on the list just give us a call and our staff will gladly check to see what is compatible to suit your phone. 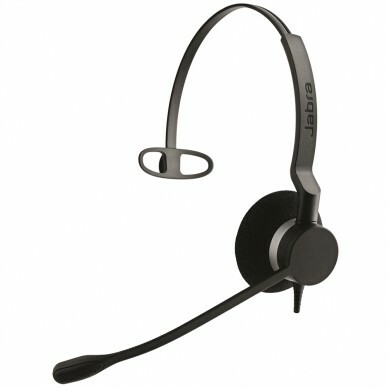 The Jabra BIZ 2300 Mono has been designed specifically for the demanding needs of contact centres. 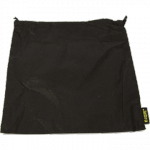 It has HD-quality sound, is durable, comfortable enough to be worn all day, PLUS has some great features to keep your staff happy. If you hate heavy breathers, this headset is perfect for you! The air shock microphone removes that off-putting breathing sound. As you'd expect, the microphone is noise-cancelling to eliminate background noise and wide-band to give a natural sounding voice when used with VOIP phones. To protect your staff, all Jabra headsets have PeakStop™ protection to immediately reduce any loud noises to a safe level. The microphone boom arm is 'unbreakable' and, conveniently, spins 360 degrees. The fact that it's flexible makes for perfect mic positioning and with an adjustable headband, it's built for comfort, with large, soft foam ear cushions. One of the weak spots in any headset is the cable, however Jabra make the 2300 series with a Kevlar reinforced cord. That makes it pretty bullet-proof but we definitely don't recommend you test it! As with any corded headset, the Biz 2300 corded headset ties you to your phone via a cable, which can be frustrating when wires lie across your desk and get in the way of papers, or, worse still, drop down and get crushed & tangled under chair wheels. If your work requires that you get up from your desk (whether on a call or not) you'll need to unclip the headset or take it off each time, then reclip / put it back on when you return. Doing this a lot will get super annoying in a hurry, so to make your phone use happier, a wireless headset could save you time, hassle (and hair!). If you don't have a headset port on your phone, a corded headset will take the place of your handset. If you still want to use the handset, you can pick up a switch to allow you to toggle between the two for convenient flexibility. 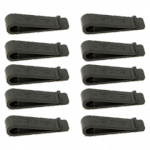 As we've mentioned, corded headsets need connector cables, so don't forget to factor in those costs when pricing your headset. If you have a phone that is difficult to match for compatibility you may have to look at an amplifier. 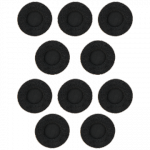 An amp, while providing superior call control (with mute and volume controls) and sound quality, will push the price up to around the same as a wireless headset ( which come with built-in amps). With that in mind, we think it's a no-brainer – if you need an amp, get a wireless headset! The BIZ 2300 is custom-built for contact centres. 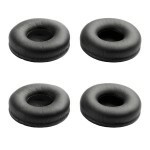 It's tough and reasonably priced, plus it delivers all-day wearing comfort and HD-quality sound. For users that are on calls for extended periods of time - or if you have a particularly noisy workplace - the Jabra Biz 2300 Duo may be a better option to increase call concentration. If staff sit close together and it's loud, choose from the ultra noise-cancelling CC 515 IP, or the duo CC 550 IP - either one is definitely worth the extra investment. Another factor to consider is the extra productivity that can be gained from the freedom to walk away from your desk while on a call. It is worth checking out the Jabra Pro 920, which is a great entry-level wireless option for only a small amount extra. If you're buying for an office, rather than call centre, wireless is now the norm and your staff will LOVE you for this upgrade. I've been using my headset for almost 5 years now and it's absolutely perfect ! I chose the Jabra Biz 2300 model for the air shock microphone & it works perfectly. The quality is wonderful. My clients can hear my voice only . . . and very clearly . . . but they don't hear any of the background noise around me. So much so, that they can't even hear the train barrelling through behind the neighbour's house. I'd definitely recommend this model. A few staffs I talked via web chat are definitely professional, who know how to make correct recommendations. Shipment is fast but I am looking forward seeing if there is no charge for. The best price you offer is the win, and I would like to do more business with you guys if the best bit always is from you. These headsets are good! People can hear me clearly. Only things is I wish the arm was able to pivit away. These headsets are working really well for us. They're doing the job and have not had any problems. 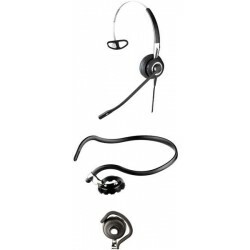 Head sets are good – clear and precise- easy to set up. Cord is a little too long. Service from your company is excellent. I am very happy with my head set. Only thing that would make it better was if I had spent more and got a wireless one, but I didn’t want to spend a lot when it was for my work phone ! I can work around the cord easily as I can move the dect phone when I need to. It is really light and comfortable, and I can spend a long time on the phone talking to my patients without getting a ‘hot’ or sore ear! Love it! Really happy with your customer service as well, and would have no hesitation in recommending Simply Headsets!. Nice and light, with great clarity and sound. you forget that you have it on.